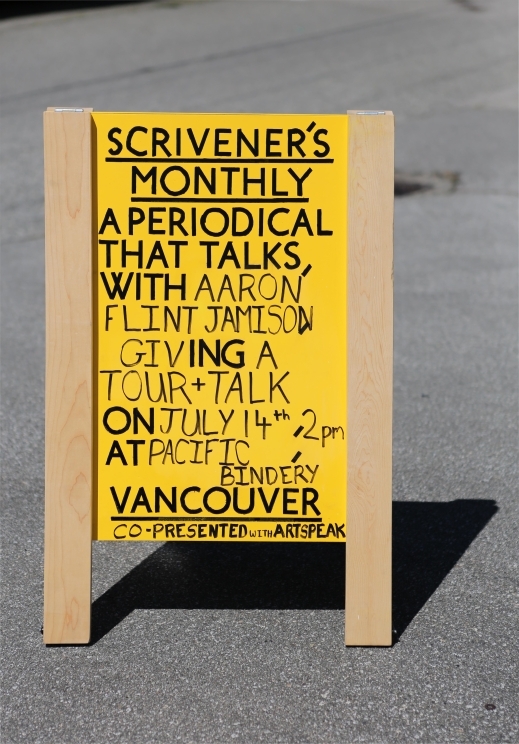 Please join us at the Pacific Bindery for a factory tour and discussion with artist Aaron Flint Jamison. This event is the second edition of Scrivener’s Monthly, a series of public presentations that explore the space between material practices and spoken words: a periodical that talks. Aaron Flint Jamison (b. Billings, MT, 1979) has exhibited at Culturgest (Porto), castillo/corrales (Paris), Pied à Terre (San Francisco), Open Satellite (Seattle), Midway Contemporary (Minneapolis), Marfa Book Company (Marfa, TX), Museum of Modern Art (New York), and the Center d’édition contemporaine (Geneva), among others. Jamison lives and works in Portland, OR, where he is a founder of the art centre Yale Union. Jamison co-founded the artist-run centre Department of Safety (2002-2010) in Anacortes, WA, and is the founder and editor of Veneer Magazine. Jamison is represented by Air de Paris. This event is co-presented with Artspeak, in conjunction with Jamison’s exhibition that is on view at Artspeak until July 21st. 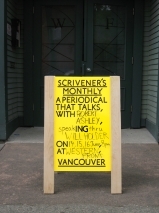 Scrivener’s Monthly is a series of public presentations that explore the space between material practices and spoken words: a periodical that talks. 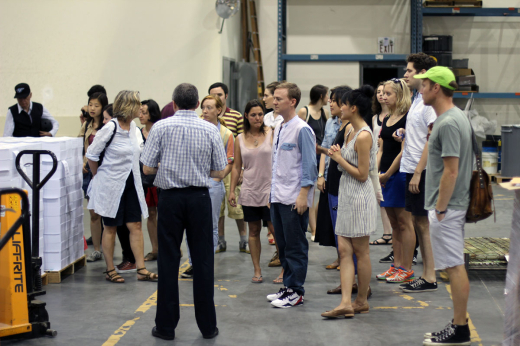 Set alongside the exhibitions program at Western Front, this experiment in “not publishing” involves readings, performances, and other articulations.